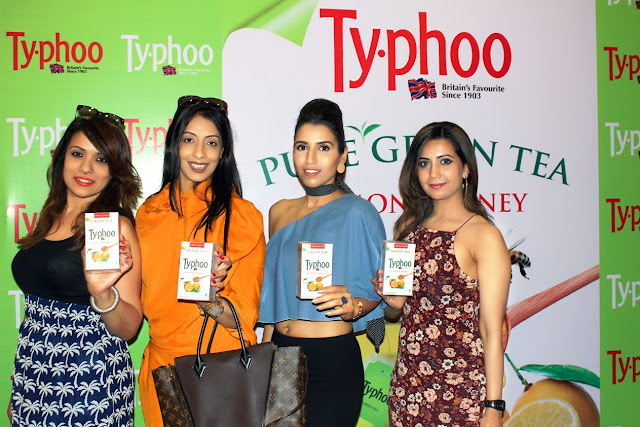 7th February, 2017: Typhoon-the iconic British tea brand, hosted a special afternoon over an interactive Tea pairing session with the renowned blogger and socialite Shalini Chopra on 2nd February in association with The Park, Bangalore. The stylish tea gathering saw the presence of Bangalore’s own Gayathri Sandeep Mrs India Runner up, Page 3 celebrity Sandhya Jain, Designer Husna Sait from the brand “Limited Edition”, actress Ruby C etc among others. Bringing back the British concept of Tea-food pairing, the Chef Baseer, Sr.Sous Chef Park, Bangalore, presented the finest of savory dishes which were expertly complemented with Typhoo’s diverse range of specialty teas. The menu reflected the subtle concoction of British and Indian flavors, accompanied by classic Black and Green Teas. 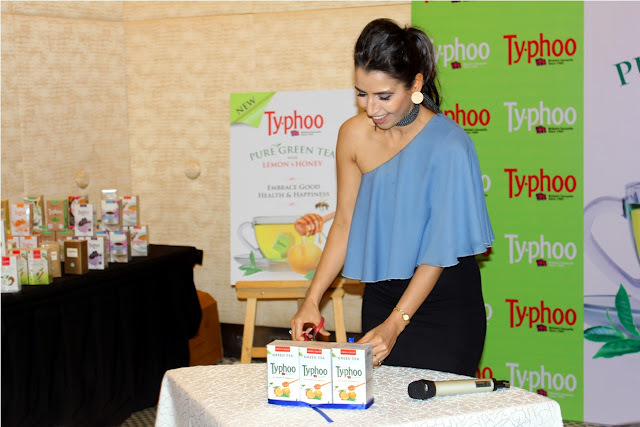 During the session, the socialite- Shalini Chopra, unveiled the new variant Lemon and Honey Green tea, which was the highlight of the Tea-food menu. With the infusion of finest flavors, Lemon and Honey Green tea is a unique blend of premium antioxidant infused with tingling freshness of natural ingredients. The guest relished the new flavor paired with Lemon and Honey Mille–Feuille, a subtle French dessert. Talking about Lemon and Honey green tea benefits, Shalini Chopra quoted,” I am a green tea consumer; it is one of the best ways to detoxify your body as it is high on anti-oxidants. Typhoo has very wide variety of Green teas, its rich colour, light flavor, smooth taste and natural ingredients makes it stand apart. The new variant has lemon and honey provides a very balanced yet fresh taste to your palette”. Chef Baseer also added,” It is been a pleasure to associate with Typhoo and work upon the interesting menu. Typhoo Teas have always been the favorite in our kitchen, now presenting it in a new medley, is something we are very excited about; we look forward to many more fascinating concepts in future”.